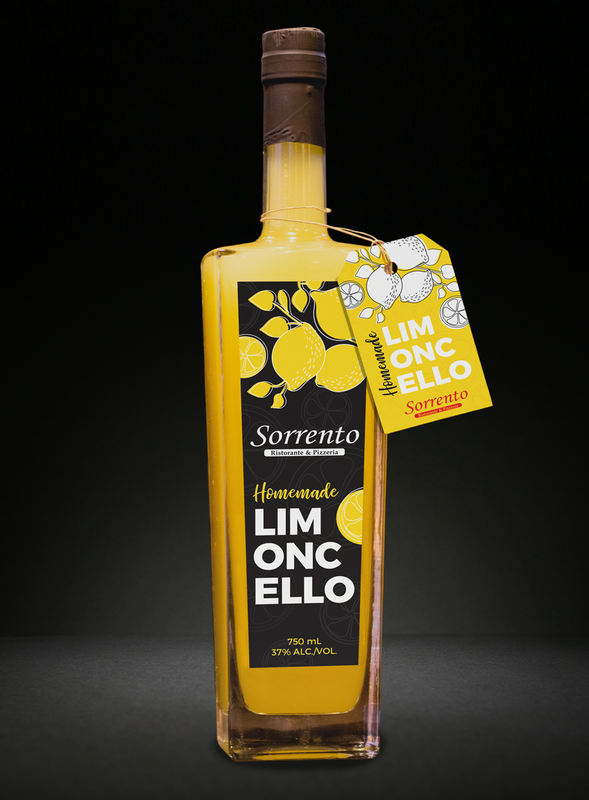 Sorrento Homemade Limoncello, the traditional digestivo originating from Sorrento and Amalfi, is truly the perfect end to a meal. Our house-made spin combines the boldness of the classic Italian liqueur with the zest of fresh lemons we steep. The smooth, aromatic finish is best enjoyed with love ones near, and will be sure to keep you coming back time and time again. SPECIAL AND ONE OF A KIND. For over 40 years, Sorrento’s has seen families come, some every week, some even more often. We have watched them grow, and then bring the next generation to enjoy our authentic Italian cuisine. THIS SITE AND ALL OF ITS CONTENTS © 2018 SORRENTO RISTORANTE & PIZZERIA. ALL RIGHTS RESERVED.